Girlfriends, I cannot believe it’s already the end of May. Where has this year gone?! Anyhow, since I am a subscriber of ipsy, Sephora Play and Glossybox, this month I thought I would write a combined post to highlight my faves from each box. Below is a snap of each box’s content and quick run down on what I liked from each.. I absolutely LOVE the Tatcha Cleansing Oil. I have been using it for the last few months prior to receiving it in this bag. I use it as part of my double cleaning routine at night as the oil works to break down makeup wonderfully. I apply it to my face and massage in for a few seconds before removing with a warm washcloth. I follow that by cleaning with my usual PCA skin cleanser. The it Cosmetics Superhero mascara is pretty awesome. I likely wouldn’t have tried this had it not come in this box, but I am so happy that I have. It is super lengthening and volumizing! I will definitely consider purchasing this once my sample runs out. 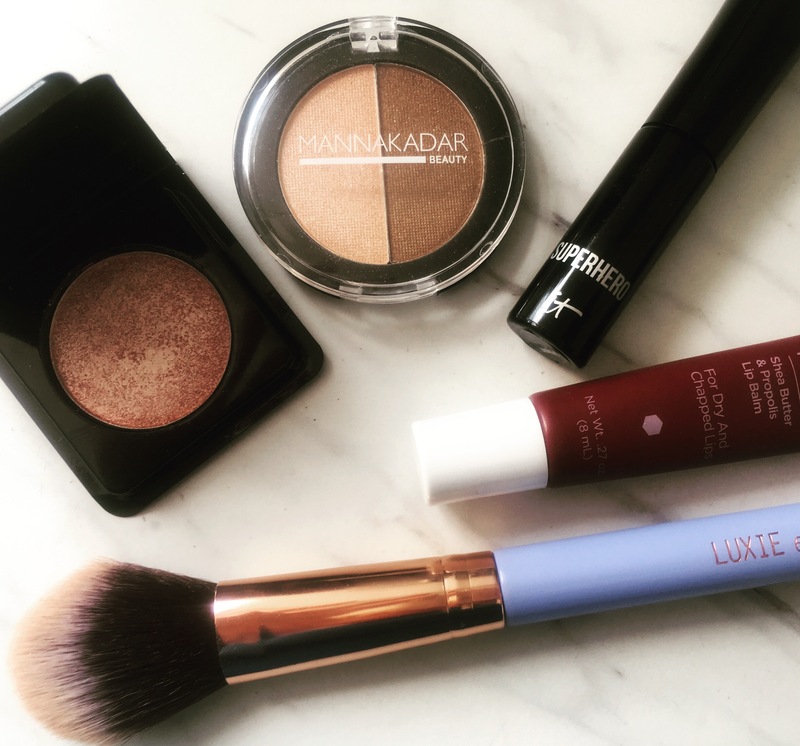 I also really enjoy the Manna Kadar bronzer. In fact I have been wearing nothing but this bronzer since I tested it the very first day. The color is perfect for my complexion and the powder is super build-able and blends really nicely. 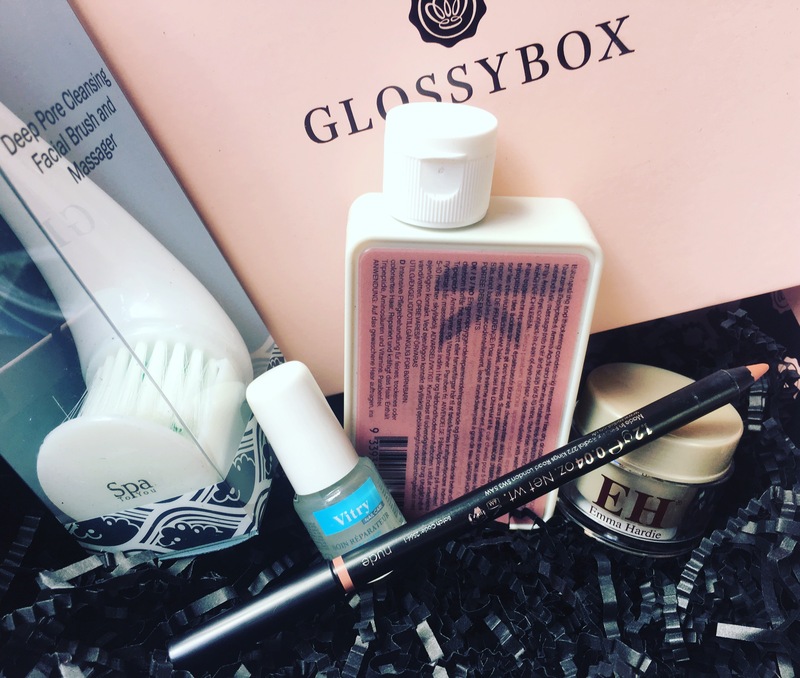 I am not feeling this glossybox. I have tested all of the products (with the exception of the nail polish) and it just isn’t doing it for me. 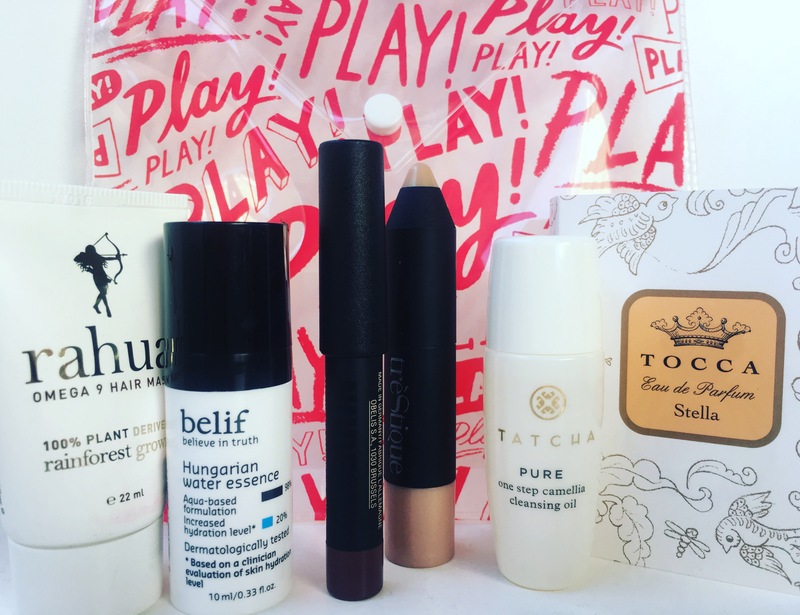 The Sephora Play & ipsy boxes were by far my fave this month. ← Is La Mer’s Creme de la Mer worth $170 an ounce? Sephora play looks so good! thinking about signing up! You should! I’ve been really impressed each month.